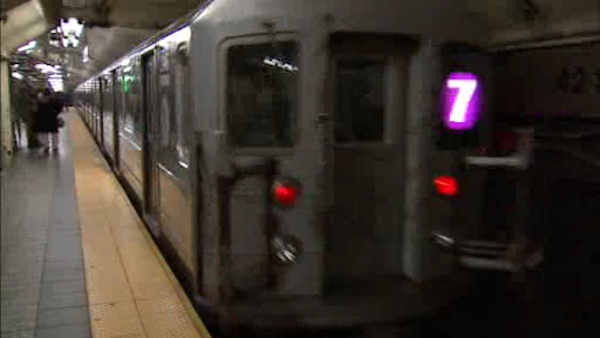 NEW YORK (WABC) -- 7 train service is suspended between Queens and Manhattan this weekend. The trains between Queensboro Plaza and Times Square will not be running again until 4:30 a.m. Monday. Trains are still running between Flushing-Main Street and Queesboro Plaza, and Times Square and Hudson Yards. Commuters looking to get to and from Queens can use shuttle buses and the E, F, N, Q, and R trains. The same suspensions will be in place next weekend. Free shuttle buses make all station stops between Vernon Blvd-Jackson Av and Queensboro Plaza.